lighting, door knob, picture frame. Hell Creek Forge, near what is locally known as Hell Creek (although the maps call it Portage Creek) has been in Pinckney, Michigan since 2007. 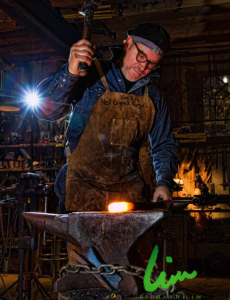 The forge has been involved in a wide range of projects, from building railings for homes and businesses around Michigan to restoring 20th century iron work at the University of Michigan’s Law School. As a young boy I enjoyed going to my grandparents’ farm. My grandfather and uncle could build and fix just about anything — from the metal scraps I was always finding to the numerous challenges that farm equipment always seems to give. It was from them I learned to have a good sense of humor when things don’t go as expected (which, in blacksmithing, always happens). Growing into a young man I realized that I had inherited from my grandparents and uncle a love and an ease of working with my hands. It brought me satisfaction. 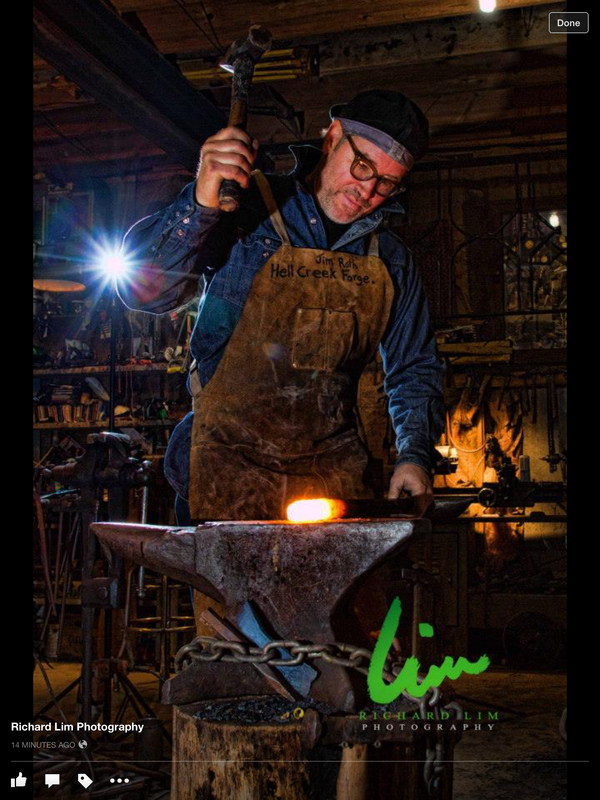 During the course of teaching welding and working in the construction industry, I turned a corner and met a great friend and blacksmith by the name of Scott Lankton. I am lucky in that not only is Scott a world-renowned smith, he is incredibly relatable and his passion for the craft is infectious. In 1989 I began my apprenticeship with him and it was only days into the work that I realized this was going to be my lifelong career. I just hope you can capture some of that joy and enthusiasm in the work we do here at Hell Creek Forge. send us an email describing your project. Take a step inside our studio and see our projects in progress! Check out our video gallery. describing your project.